Suitable for all standby applications including; Telecommunications, UPS Systems, Alarm Systems and Emergency Lighting. 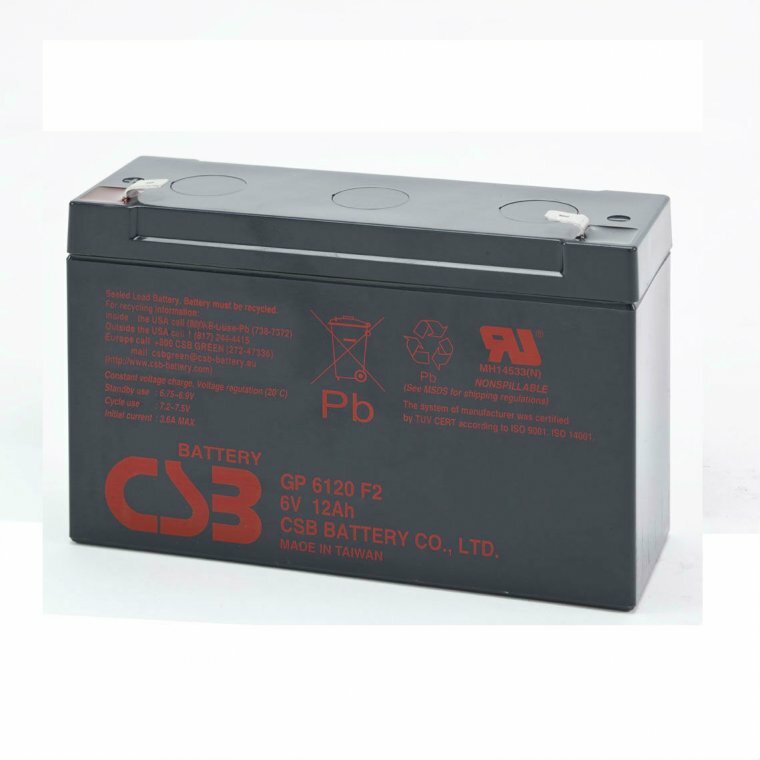 CSB GP & GPL VRLA batteries are available in 5 year (GP) and 10 year (GPL) models. Used in many types of UPS systems as well as childrens ride-on-toys such as Powerwheels and Peg Perego types.